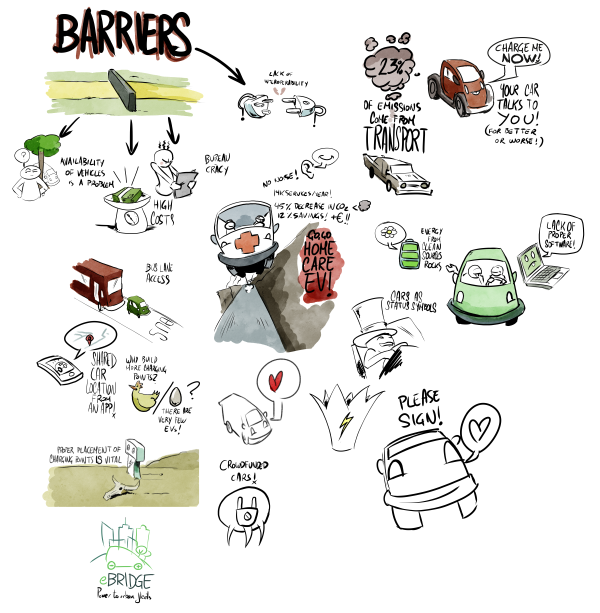 Here’s something a little different from my usual: a graphic recording I did for the European Union’s eBRIDGE project to promote the usage of electric vehicles. I’d never done a graphic recording before, and I expected all sorts of things to go wrong: after all, you have to draw really fast while people speak, and have your art be on point with the speaker. However, the two hours I spent on this were a blast, and I’m really looking forward to my next graphic recording assignment!